BoneActiv topical rub is the greatest advance yet for supporting bone and joint health. BoneActiv is based on the power of wild oils of sage, rosemary, and oregano, three of the most potent mountain herbal oils known. 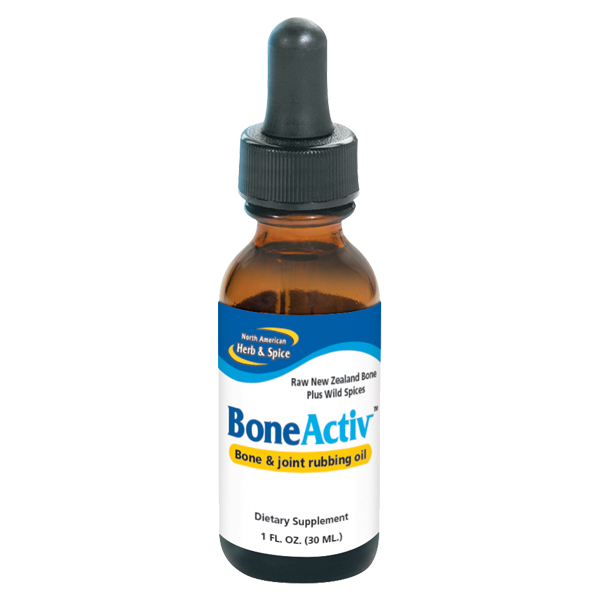 BoneActiv topical rub is the greatest advance yet for supporting bone and joint health. BoneActiv is based on the power of wild oils of sage, rosemary, and oregano, three of the most potent mountain herbal oils known. Look up the research. It is astounding what has been discovered regarding the power of these truly wild-source oils. Rub BoneActiv on the bottoms of the feet and shin bones once or twice a day. BoneActiv is absorbed right through the pores of the body, and the bottoms of the feet have the biggest pores of all. Also, rub on any boney area that needs help. When rubbing on any area, do so vigorously. It is powerful rubbed on the chest, as the activating compounds also work through inhalation. For quick results rub into the skull at the base of the head. Also, take a few drops daily under the tongue or in juice or water. 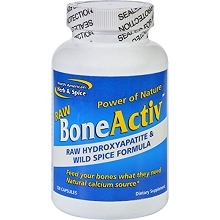 For fast action use with Raw BoneActiv capsules. Also makes an ideal rub up and down the spine. What can be more powerful and useful than this, a bone-activating natural rubbing oil that can also be taken internally? Breathe in their power and enjoy the rub.